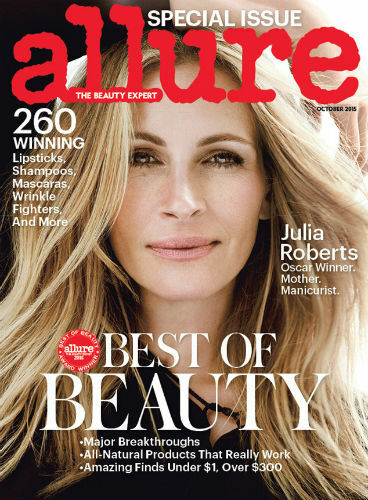 –Julia Roberts talks politics and pollution in her new Allure cover story. -Jesus F. Christ, Stephen Amell. Stop this. And this. Just STAHP! -How is this being presented as not gross? -I love that Rihanna is talking about her and Taylor Swift’s “brands” in this. She gets it. -I’m totally here for new candid Kristen Stewart. -How weird would this have been? John Cusack was nearly cast as Breaking Bad’s Walter White. -Was Jessica Simpson drunk on the HSN? I dunno, she kinda always sounds like this, no? –Amy Schumer takes on beauty standards in the new promo for her HBO special. -I don’t say this very often (or ever), but good on Jessica Alba. -Here’s the second trailer for Steven Spielberg’s Bridge of Spies, starring Tom Hanks, Amy Ryan, and Alan Alda. -Here’s the trailer for Sarah Silverman’s dramatic I Smile Back. Saw this one at TIFF and liked it but man, it’s DARK.